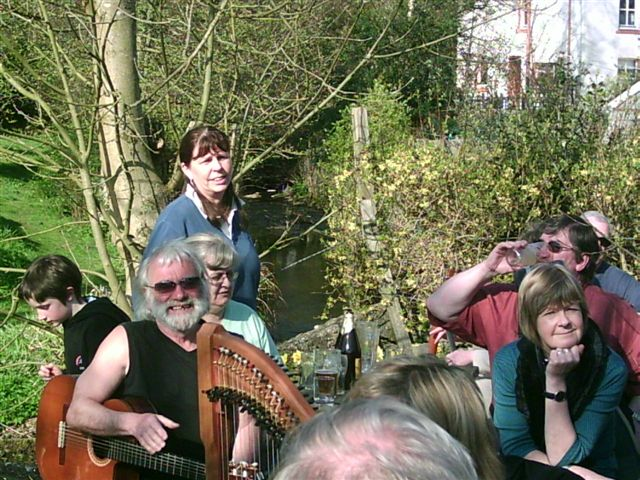 Internationally Famous Glenfarg Village Folk Club first met on 3rd April 1978 and over thirty years later the club is still going strong. We meet every Monday night and offer a wide range of musical acts as well as providing an opportunity for budding performers to "have a go". Over the course of a year you can enjoy both traditional and contemporary folk from home and abroad, blues, jazz, ragtime, story telling, poetry and great humour. We are always tracking down the latest talent to break onto the folk scene as well as dusting down some of the golden oldies who have been around for a wee while longer. Every four weeks or so we have a sing around session at the club (sometimes with a theme and sometimes not). Anyone who comes along gets a chance to perform in a relaxed and friendly environment. Many just come along to listen and enjoy the banter. 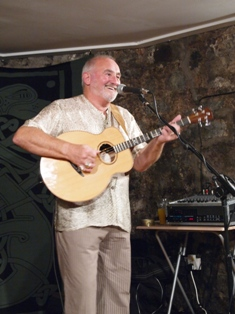 There is much more to Glenfarg Village Folk Club than Monday nights. Members also enjoy many social events throughout the year including a Ceilidh, quiz night, golf tournament, and a 'November Weekend Away' where we take over several log cabins somewhere in Scotland and eat, drink and be merry for three days and nights. 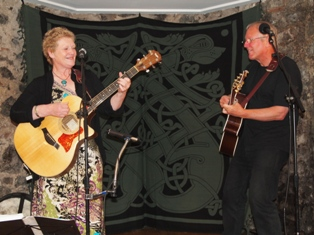 Every April of course we have our Folk Feast which is a highlight of our club year. Our members put a lot of effort into our club and they get a great deal back. If you visit our club you will be assured of a warm and friendly welcome and an evening of good music and banter. The Jacob sheep's head logo and the line drawing of the Glenfarg Hotel used as a backdrop to these pages is original art produced by the club's founder, Andy Ramage, in the early days of the club's existence.